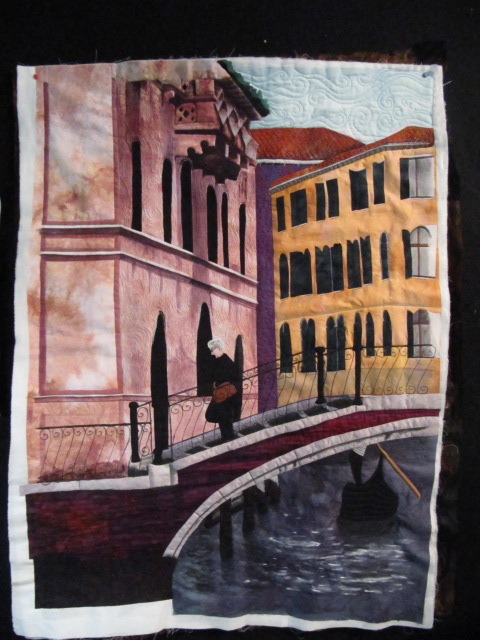 New process photos of the Venetian quilt. I am almost done! I borrowed some designs from Leah Day’s 365 Days of Free Motion Designs blog.http://www.freemotionquilting.blogspot.com/ Or rather, I started with a version of her designs and adapted it to fit in the spaces.